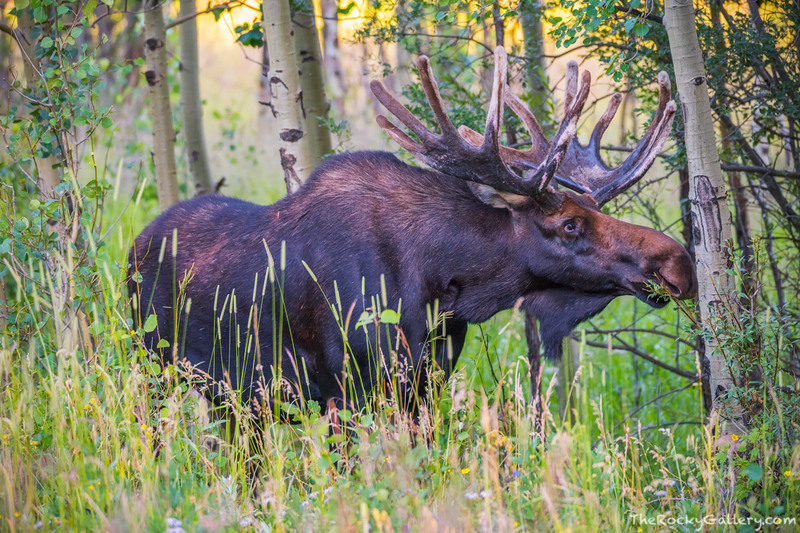 It's not uncommon now to find Moose hanging around Lily Lake on the eastern edge of Rocky Mountain National Park. Not so long ago this would have been uncommon as most of the Moose in RMNP lived on the west side of Rocky. This stunning bull was helping himself to an early morning snack one August morning, enjoying both the scenery at Lily Lake and the tasty summer greens. Photo © copyright by Thomas Mangan.